Uncategories Should Prepaid Mobile Sims Be Permanently Blocked in Pakistan? Mobile Phones got popular in Pakistan in year of 2004, 2005 and with each passing year Mobile users are growing more and more in Pakistan. Now almost every person is having a mobile phone. 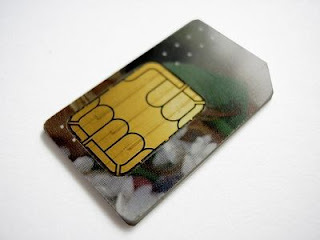 Most of people are using Prepaid Mobile Sims in their phones. Many of these Sims are registered on wrong information and now when Law and order situation is very bad in Pakistan these Sims have became a threat for security as many terrorists uses these Sims having fake Registrations. Watching this Situation Interior Minister Malik has said recently that Government is thinking about permanently closing down all the Prepaid Mobile Sims in Pakistan. This news has really came as a shock for many Pakistanis for whom Mobile has got too much importance in last 8,9 years. Blocking prepaid Sims may help a little bit in reducing terrorism but what will be the bad effects of doing so? telecom industry which grown greatly in Pakistan will be badly effected by this because more than 96% Pakistanis uses Prepaid Sims and only 3 to 4% uses Postpaid Sims. Blocking Prepaid Sims can end Millions of Jobs in Pakistan. So what Government should do???? Government should not block all prepaid Sims instead they should block all those Sims which are not registered with real information. They should also improve the system for sale of new Sims. By doing this telecom industry will also be not effected and wrong use of Sims will also be reduced.